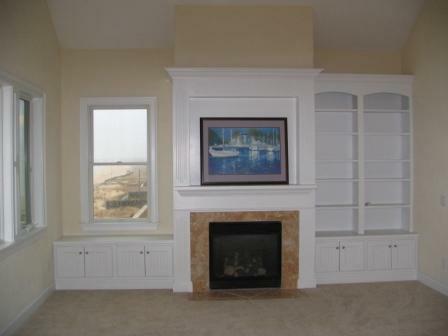 Premium Millwork Installtions LLC provides a diverse level of services for a variety of clients. Listed are some of the services and products we provide. If you do not see any listed that will suit you particular needs contact us . We offer 3 D design through the use of Chief Architect x1 to provide you with a true 3d rendering of your project to work out the details and solutions prior to the commencement of the work. We can provide you with complete scopes, estimates and scheduling for your projects. This eliminates costly change orders and speeds the cycle time of your project. Reducing the amount of time you are dislocated from the use of the space. We bring a host of trades to complete the project making us a one stop shop for your needs. Premium Millwork Installations can provide a complete onsite carpentry service capable of providing the following areas of expertise commercial or residential : Door and hardware installations, running trims and mouldings, stair and railings, onsite fabrication of cabinetry, wainscot panels, custom mantles and surrounds, laminate tops, solid surface fabrications cabinetry installation framed and frameless, Fixture, racking and display systems for retail or resturant applications. We can provide fabrication of items in the round if necessary. Premium Millwork Installations has shop manufacturing capabilities to produce a variety of projects that can be installed. These are primarily one off pieces that require a level of customization. We provide stain and color matching to the existing décor and can provide field finishing and refinishing capabilities.